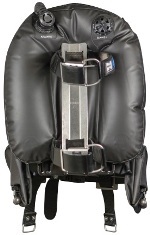 Atlantic Diving Equipment has been manufacturing the highest quality commercial diving harnesses and weight belts in the United States for over 24 years. Founded by Ray Mathieson, an experienced commercial diver, Atlantic’s growth is the direct result of Ray’s insistence on using only the highest quality U.S. manufactured raw materials. Products supplied by Atlantic meets and exceeds recognized standards of the U.S. Navy and the commercial diving industry. Scuba Center is an authorized XS Scuba / Highland Dealer. 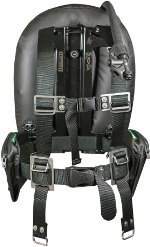 Atlantic Diving Equipment has a long and rich history of designing and manufacturing the world's finest commercial harnesses, weight belts and other accessories. They have taken their knowledge and unique designs and created a new type of integrated diving BC system based on a commercial platform. The Black Ox is being used everyday in aquariums and by public safety divers.